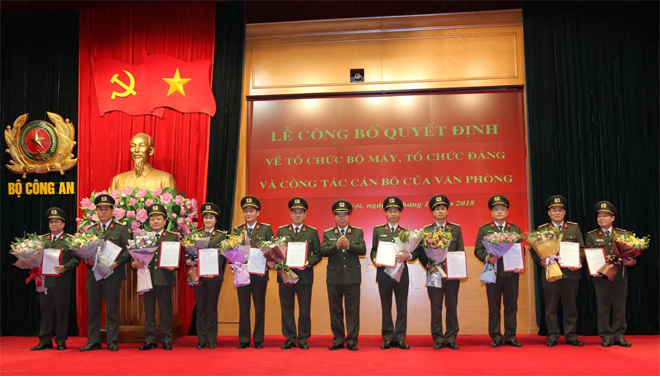 PSNews - The Central Party Committee of Public Security on November 1 held a ceremony to announce decisions by the Ministry of Public Security (MPS) on the organizational structure, Party organization, functions and personnel of the Office of MPS. Senior Lieutenant General Bui Van Nam, member of the Party Central Committee, Deputy Minister of Public Security chaired the event. At the event, leader of the Department of Organization and Personnel under the MPS announced the decisions by the Minister of Public Security on the Office of MPS's functions, missions and organizational structure, and the decisions by the Minister of Public Security to appoint new director and other high-ranking officers of the Office. Deputy Minister of Public Security Bui Van Nam speaking at the event. A leader of the Department of Party and Political Work under the MPS also announced the decision to rename the Party Committee of the Office of MPS, decisions on the appointment of members of the Office’s Party Committee and the decision on the appointment of Deputy Secretary of the Party Committee of the MPS Office in the period 2015-2020, along with other decisions on personnel work. 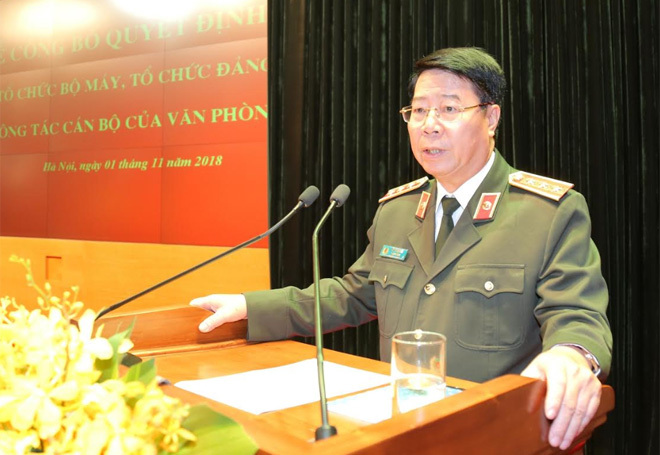 On behalf of the Central Party Committee of Public Security and leaders of the MPS, Deputy Minister Bui Van Nam congratulated the newly posted leaders of the unit and hoped that the new leadership would continue to promote the solidarity of the unit and direct it to successfully fulfill the assigned tasks. Deputy Minister Bui Van Nam asked the Party Committee, the leaders and all officers and soldiers of the Office to continue the achievements in the past time while overcoming difficulties and promptly solving tasks assigned by the Central Party Committee and leaders of the MPS. Deputy Minister also noted that the Office of MPS should focus on building a clean and strong unit to be able to accomplish all given tasks.